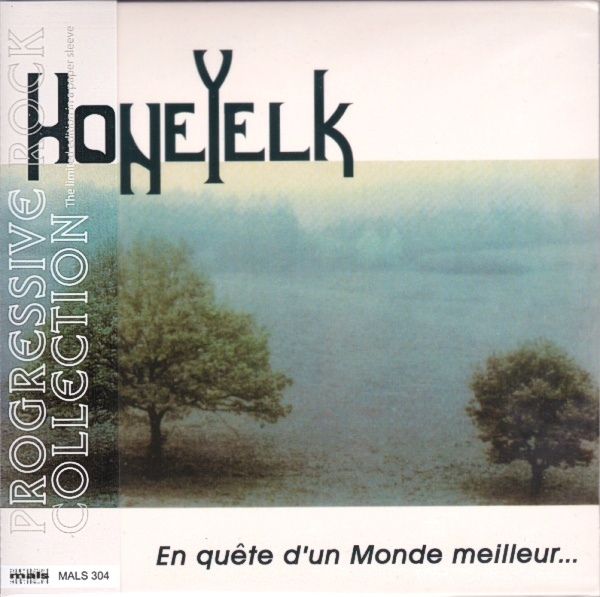 An almost legendary album in French rock, Honeyelk's Stoyz vi Dozévéloy was originally released in a limited pressing of only 1000 copies. The band was a quintet of bass, drums, piano, guitar, and woodwinds, and played a fluid and unique style of jazz-rock that might be roughly comparable to the early adventures of Zao or Troll. There is an introspective side to their sound as well, with piano offering a dominant role. There are some vocals, provided by brothers Gérard and Christian Blanc (bass and drums respectively), Gérard vaguely recalling PFM's Bernardo Lanzetti circa Jet Lag at times. But the focus of their music is clearly more instrumentally oriented. Naturally, with Zao as a reference, then early Magma must be also be, and the zeuhl-like choruses on the opening "Duel à la Vie" bear this out. The original album only featured the two sidelong cuts, totaling only about 26 minutes in all. For the reissue, the title and cover artwork has been changed, and four bonus tracks have been added after the original two. One of the bonus tracks is a live take by a later version of the band, two others are short (under two minutes apiece) solo out-takes. A welcome reissue, and one that zeuhl fans should not be without.